The most famous horse in recent history, Frankel was unbeaten in 14 starts. He is considered to be the finest horse ever. 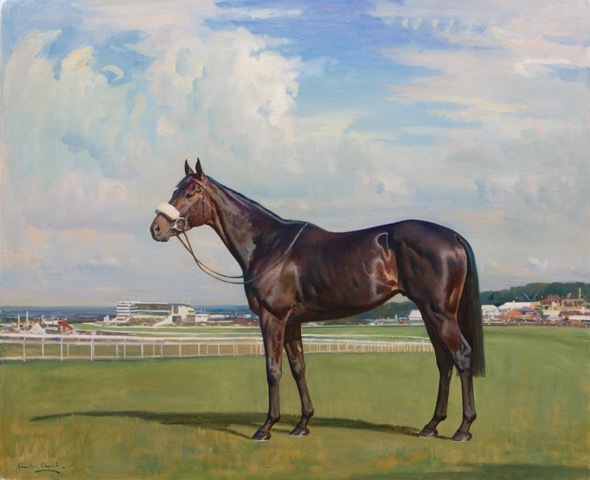 Timeform, the horse ratings system, awarded the highest rating, 147, to this magnificent athlete. Frankel is now at stud in Newmarket, England. The only challenger to this standing is the Australian sprinter, Black Caviar, also undefeated in 25 races (15 Group 1). 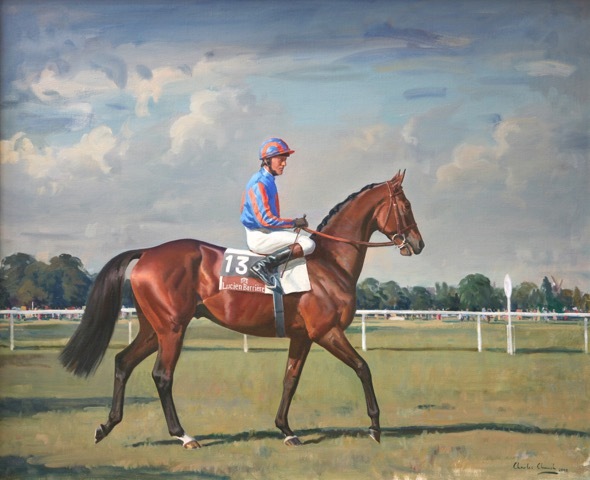 She is now retired and the possibility of being covered by Frankel is still a hot topic. Horses are not the easiest animals to represent on canvas. The seriously good artists become household names: Sir Joshua Reynolds, Velasquez. 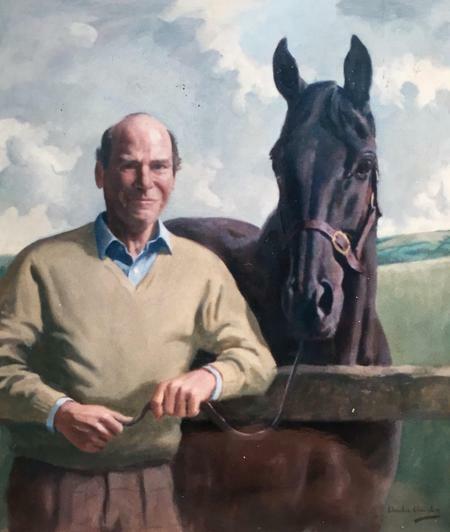 Charles (Charlie) Church is right up there and a skim through his list of clients who have commissioned works is to read through the very highest echelons of the racing world: HM The Queen, HH Aga Khan, HM The Sultan of Oman, Sheikh Fahad al Thani, Lady Lloyd-Webber, John Magnier and Michael Tabor. Atlantic jewel is an Australian mare, winner of 10 out of 11 races including 5 Group 1 Races. She was retired in 2013. To skim through the portfolio is to understand why he is in such demand. 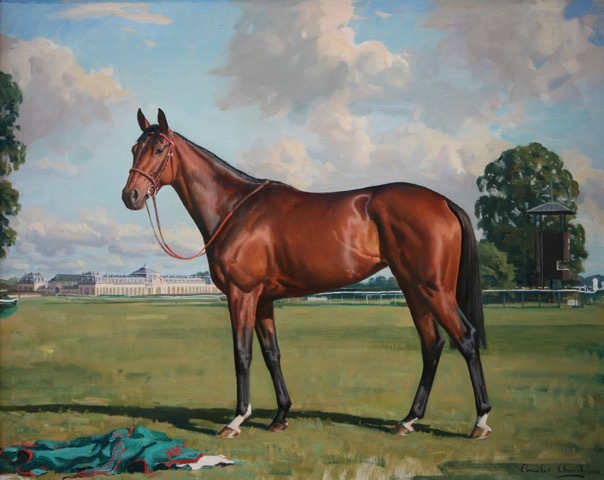 An Irish mare who ran just 7 times and won every time including the Prix de l’Arc de Triomphe. 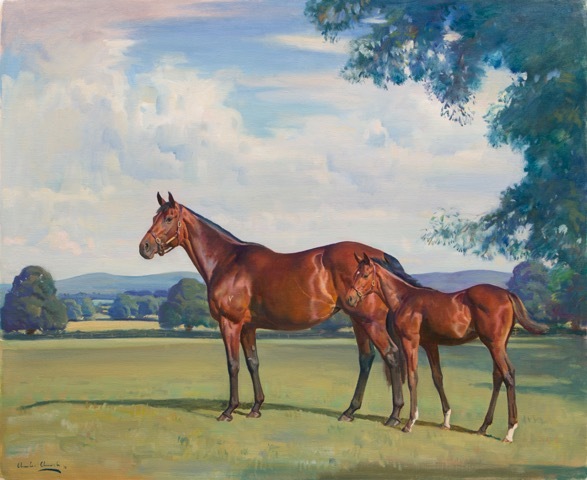 Owned by HHAga Khan, she is now a top brood mare back in her native Ireland, having raced from France. 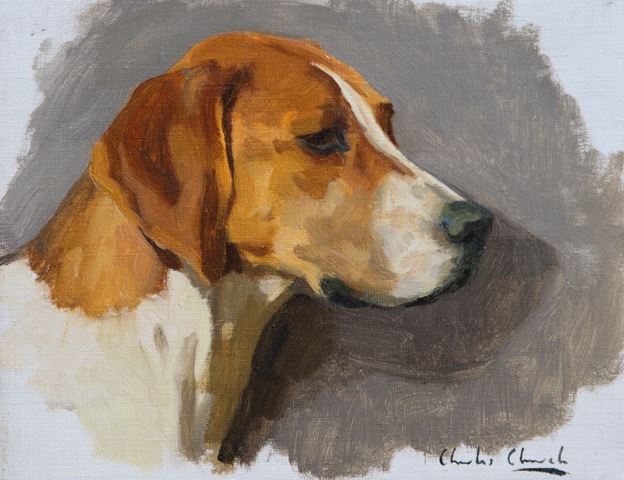 Henry Wyndham, Chairman of Sotheby’s Europe, has compared these works with the very finest artists of the early 20th Century, particularly mentioning Charlie’s ability not just with animals but with landscapes as well. Charlie Church lives and works in Ibberton, near Blandford, Dorset. He has become a very good friend of the family and has blessed our walls with some of his amazing work. Won 6 Group 1 races in 2005 and 2006 and total Prize money of £2.5million. 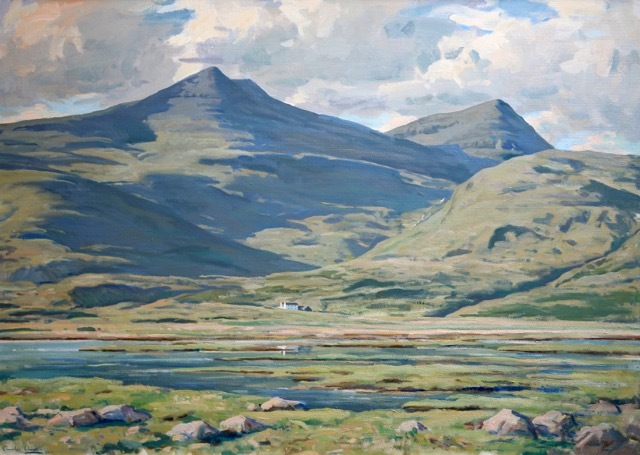 I encourage anyone who is able to visit his exhibition and see more of his work on his website. 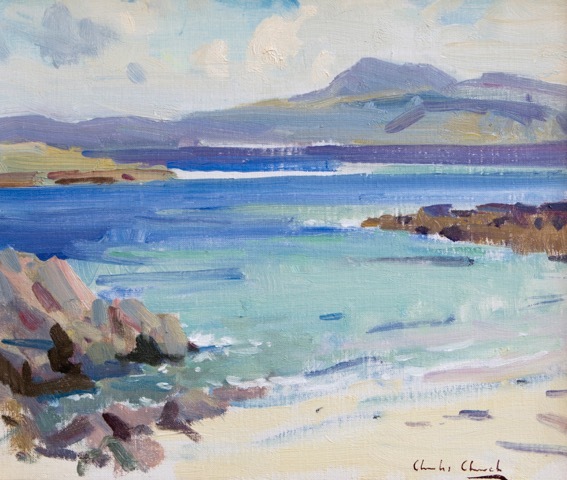 Charles Church Exhibition: 13th-18th November 2017 in Duke St Gallery, Duke Street, St. James’s, London SW1. All images are ©Charles Church. All rights reserved. 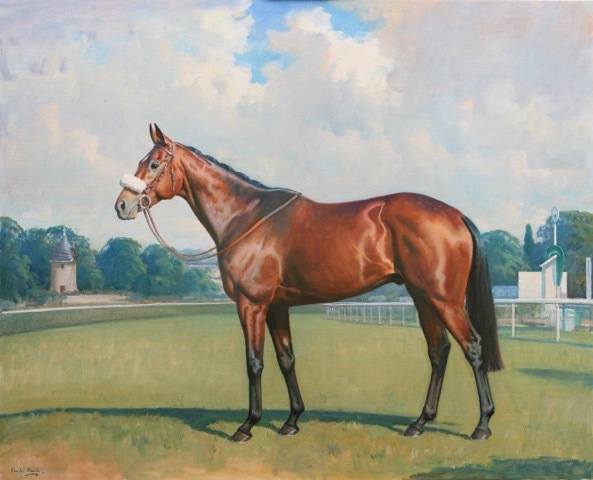 Winner of 4 out of his 6 races, owned by HH Aga Khan. 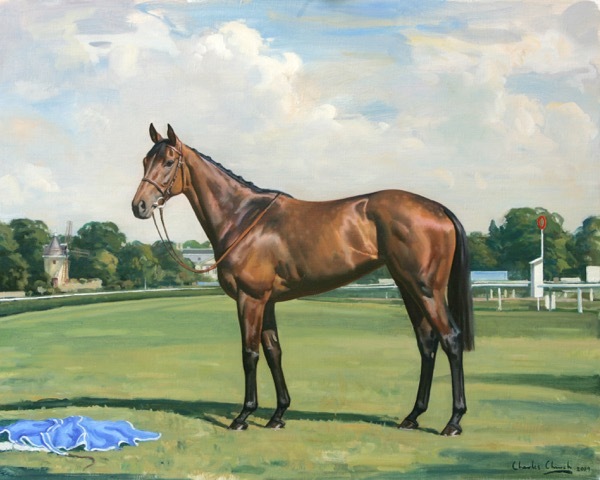 A steeplechaser of grand proportions, she won 2 out of 19 races. Tellicherry was one of the most beautiful horses I have ever known. Though horses are only referred to as black in very special circumstances, brown being the correct term, “Cherry” was very black and as beautiful in nature as in form. Owned by my family!